El Museo Latino opened its doors in the historic Livestock Exchange Building on May 5, 1993, as the first Latino Art & History Museum and Cultural Center in the Midwest. In 1997, the museum moved to its present brick and red-tile-roof building. The original construction of 1887 was a school and was reconstructed in the 1930s. Today, El Museo Latino is one of only seventeen Latino museums in the United States. In conjunction with the exhibits, El Museo Latino develops educational programs that include lectures, presentations, films, art classes, workshops, demonstrations, art history classes, gallery talks, guided visits, and dance classes. Some of the programs are age specific for K-12, some for post-secondary students, and others are for an adult audience. In addition, El Museo Latino is a resource and a center for Latino studies in the Midwest. 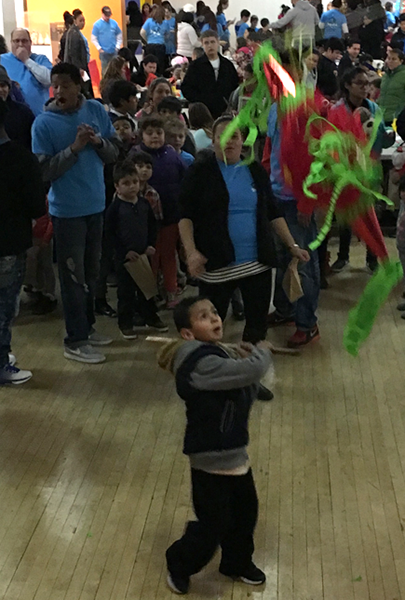 El Museo Latino organizes and presents special events during the year highlighting the annual Cinco de Mayo Celebration in May and Hispanic Heritage Month in September. May features the annual Almuerzo (brunch) while September features the Hispanic Heritage Celebration Banquet. During the year, Family Day celebrations are also scheduled as well as special dance performances by the museum's dance company, "CHOMARI" Ballet Folklorico Mexicano, and by visiting artists. Bilingual guided visits are offered for groups of ten (10) persons or more. For additional information and to schedule a tour, please call (402) 731-1137.